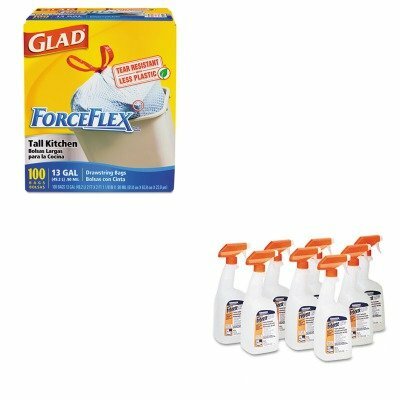 KITCOX70427PAG03259CT - Value Kit - Febreze Fabric Refresher amp;amp; Odor Eliminator (PAG03259CT) and Glad ForceFlex Tall-Kitchen Drawstring Bags (COX70427) by Febreze at Blog Free Here. MPN: COX70427PAG03259CT. Hurry! Limited time offer. Offer valid only while supplies last. lt;stronggt;PAG03259CTlt;/stronggt;lt;BR/gt;Febreze Fabric Refresher amp;amp; Odor Eliminatorlt;BR/gt;Cleans tough odors, doesn't cover them up. lt;stronggt;PAG03259CTlt;/stronggt;lt;BR/gt;Febreze Fabric Refresher amp;amp; Odor Eliminatorlt;BR/gt;Cleans tough odors, doesn't cover them up. Apply directly on fabric once fabric dries, smell is gone for good. Eliminates food and smoke odors on virtually all fabrics. Scent: Fresh Clean Physical Form: Liquid Application: Fabric Capacity Volume: 32.000 oz.lt;BR/gt;lt;BR/gt;lt;stronggt;COX70427lt;/stronggt;lt;BR/gt;Febreze Fabric Refresher amp;amp; Odor Eliminatorlt;BR/gt;One quick pull and it's closed Only Glad has the strength of ForceFlex, the unique diamond-textured plastic that stretches, preventing rips and tears. Three-layer drawstring makes even the fullest bag no problem to close, lift and carry. Application: Can Liner Capacity Range Volume: 13 gal Materials: Plastic Colors: White.